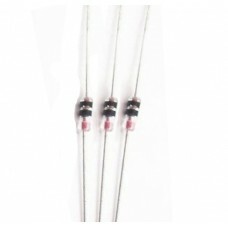 1N34 (1n34a) Germanium Diodes. 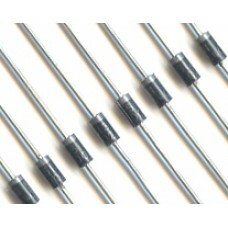 6 diodes pack. 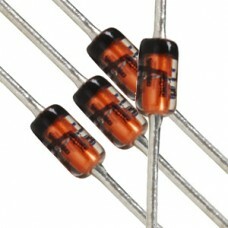 ..
1N4001 Rectifier Diodes (1N4001RL). 50 Diodes Pack. 1N4001 50V 1AMP General Purpose Rectifier Diodes. Pack containing 50 diodes. ..
1N4002 Rectifier Diodes (1N4002T). 50 Diodes Pack. 1N4002 100V 1Amp General Purpose Rectifier Diodes. Pack containing 50 diodes. ..
1N4004 Rectifier Diodes. 50 Diodes Pack. 1N4004 400V 1AMP General Purpose Rectifier Diodes. Pack containing 50 diodes. ..
1N4007 Rectifier Diodes. 50 Diodes Pack. 1N4007 1000V 1AMP General Purpose Rectifier Diodes. Pack containing 50 diodes. 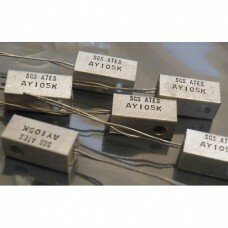 ..
1N4148 75V 200mA silicon small signal diodes. 50 diodes pack. Datash..
1N4151 Small Signal Diode 25V 500mW. 50 diodes pack. 1N4151 500mW 25V small switch signal diodes. 50 diodes pack. Datasheet ava..
1N4733A 1W 5.1V ZENER DIODE (= BZX61C5V1). 40 diodes pack. 1N4733A (BZX61C5V1 equivalent) 1 Watt, 5.1V Zener Diodes. 40 pieces packag..
BZX85C18 (1N4746 equivalent) 1.3 Watt, 18V Zener Diodes. 50 diodes pack. ..
1N4748A 1W (= BZX85C22) 22V ZENER DIODES. 50 diodes pack. 1N4748A (BZX85C22 equivalent) 1 Watt, 22V Zener Diodes. 50 diodes pack. 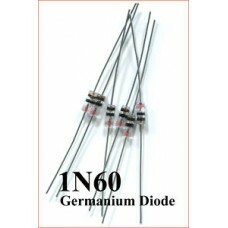 ..
1N60 Germanium Diodes, the kind used in Crystal Radio. 6 diodes pack. Data..
1N748A (1N5228B equivalent) 0.5 Watt, 3.9V Zener Diodes. 50 diodes pack. D..
1N750A (1N5230B) 0.5 Watt, 4.7V Zener Diodes. 50 diodes pack. Datashe..
1N754A (1N5235B equivalent) 0.5 Watt, 6.8V Zener Diodes. 50 diodes pack. 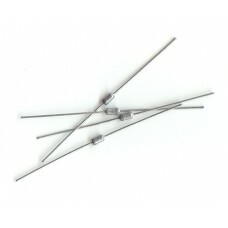 ..
Germanium Diode (Discontinued, ONS)Price is for a pack of 20 diodes. PIV 250V VF 1v @3A Ir ..